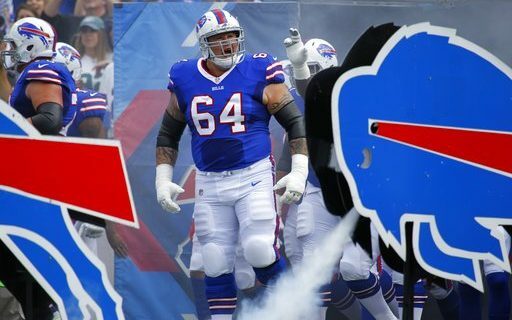 It appears to be official, despite some tweets over the weekend, that Bills guard Richie Incognito is retiring from the NFL. Sports humorist Jeff Wozer found out some of the reasons why. • Mulling lucrative Hollywood offer to don a wig and work as Roseanne’s stunt double. • Upset Bills won’t use him as a punt returner. • Miffed that in order to continue receiving high definition cable he must now obtain a Spectrum receiver. • Difficult to ignore the temptations of enjoying the exciting life of an Amway salesman. • Miffed the Pegula’s didn’t use their clout to prevent Macy’s from abandoning the McKinley Mall. • Tired of arguing with skeptical teammates that DiGiorno truly does taste like delivery pizza. • Still harbors lifelong dream to skate with Disney on Ice. • Still miffed teammates rejected his choreographed TD celebration idea mimicking seagulls floating in the wind as lame. • Angry that the Pegula’s make all players attend at least one Sabres game. • Kidneys and liver can’t handle the irony of belonging to a person who is a lighting rod for media attention yet has the name of Incognito. Read Jeff’s take on the surprising revelations at Sabres locker cleanout day.